With the UK set to leave the European Union on 29 March 2019, businesses of all sizes should take some practical steps and ask some questions in order to prepare for whatever kind of Brexit lays ahead. In particular, companies should prepare for a No Deal Brexit, by understanding how leaving the EU might affect their own operations and employees, as well as their suppliers and customers. We know that each of our Members’ businesses is different, and so leaving the EU will impact companies in different ways. Working with our members, ADS has developed a “Brexit Readiness” questionnaire to help you put together your Brexit plan. ADS hosted a webinar on how organisations can prepare for Brexit. Watch here. Ensure any EU27 citizens you employ have applied for the EU Settlement Scheme. If you have any EASA certifications, apply for third-country approvals with EASA as soon as possible. Ensure you have an EORI number and can submit customs declarations for EU trade. Talk to your bank now about addressing potential cash flow or working capital problems. Work with customers so that you can continue to comply with contractual terms (ie data protection, guaranteed delivery times or nationality restrictions on sensitive contracts). As the UK moves closer to leaving the EU, there are very tangible steps ADS Members must take – including on your EU workforce, regulatory regimes and customs regimes – to be prepared for the changes Brexit will bring. As part of the Withdrawal Agreement, the UK and the EU have agreed on the rights of EU27 and UK citizens’ post-Brexit. The rights and status of EU citizens working in the UK and of UK citizens working in the EU27 will differ depending on their current immigration status. What proportion of your employees are from the EU27 and what is their status post-Brexit? Are they in critical roles? Could you adequately recruit replacements if you had to? Will new recruits require sponsored working visas? Consider what ‘right to work’ checks (e.g. passport and/or national identity card) apply until the end of 2020. If you are an EU citizen, or you employ EU citizens, please apply to the EU Settlement Scheme to ensure the right to continue living in the UK after 30 June 2021. You may wish to signpost the information that the Government is providing to your employees. Ensure you and your employees follow FCO travel advice for applying for work visas in EU27 countries. A Q&A on the rights of UK and EU27 citizens’ post-Brexit can be found here. EU Settlement Scheme employer toolkit should equip employers with information to support the EU citizens and their families to apply to the EU settlement scheme. For more information on visas and immigration related to work in the UK, visit uk. For more information on visas and immigration relate to work in the European Union, consult the FCO foreign travel advice. One of the critical issues the UK and EU27 will negotiate as part of the final deal is the relationship the UK will have with EU agencies and regulatory bodies such as the European Aviation Safety Agency (EASA) and the EU REACH regime. In some cases, such as with EASA and ECHA, the Government has indicated a preference to stay within the EU regime. If the UK diverged from EU regimes, what would it mean for you, your suppliers, and your customers? Have you assessed the potential impact on your operational capability if EASA and REACH certification cease to apply? Are you applying for new certifications or approvals which have been published by both the EU and UK to maintain a degree of continuity under a No Deal Brexit? UK companies are strongly advised to apply for third-country approvals with EASA as soon as possible, as the process is taking between 4 and 6 weeks to complete. In order to ensure continued recognition for approvals within the EASA system in the event of No Deal. Businesses should encourage your suppliers and customers to do the same. Further details can be found on the Brexit section of the EASA website. No Deal Technical Notice on Regulating Chemicals (REACH). 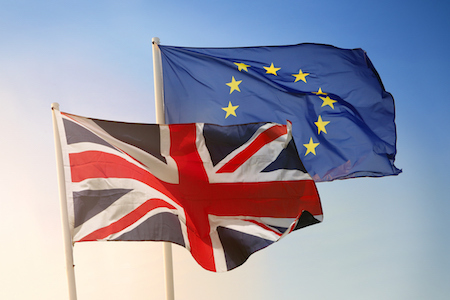 The Health & Safety Executive has published further information on how UK companies will be required to comply with UK REACH following a No Deal departure from the EU. Prepare to work and operate in the European Aviation sector after Brexit. The CAA also has opened a process for aerospace design organisation approvals, which can be found on their Brexit microsite. And on the EASA website. Currently, the UK Government has said that the UK will leave the EU Single Market and the EU Customs Union after Brexit. Doing so will require goods moving across the UK-EU27 border to be declared for customs purposes. Businesses should ensure they understand the resilience of their supply chain to border delays, including if their contracts contain late delivery penalties and other associated costs and delays. Some UK and EU27 ports lack the physical and technological capacity to handle increased customs checks, which could result in delays at the UK-EU border. How resilient is your supply chain to border delays? Do you have contracts with penalties for late delivery? What would be the cost of warehousing spare stock or components? If possible, businesses may want to renegotiate commercial and delivery terms to reflect any changes in customs and excise procedures. If renegotiation is not possible, businesses should assess their ability to comply with contractual terms and ways to ensure compliance of goods to avoid border delays. Businesses should talk to their EU customers and suppliers to ensure all parties are preparing for changes and the new treatment of UK businesses and UK goods. No Deal Technical Notice on Trading with the European Union. No Deal Technical Notice on Commercial Road Haulage. Guidance on key processes of importing and exporting outside of the EU. Currently, exporting to a customer in the EU27 requires the same paperwork as supplying a customer in the UK. When the UK leave the Single Market and the Customs Union, UK companies exporting to the EU will have to make additional customs declarations and prove exports comply with EU regulatory standards. Based on OECD analysis and depending on the final deal agreed between the UK and the EU27, ADS estimates companies could face additional administration costs of sending goods to customers to in the EU27 of between 2%-15% of the value of the export. In addition, UK companies will be liable for paying import VAT on products coming from the EU. Will you be a first-time importer or exporter? What customs procedures do you currently comply with compared to potential new ones? What is the cash flow impact arising from import duties and unrecoverable VAT? UK businesses should get an Economic Operator Registration and Identification (EORI) number (if you don’t have one already). Consider how you will submit customs declarations for EU trade. Identify the EU systems and services that your business currently uses which the UK will lose access to in a no-deal scenario, you may need to move to a GOV.UK host site. A fourth iteration of the Partnership Pack on how to prepare for a No Deal Brexit scenario has extensive guidance to businesses. Making importing easier reflects a new set of guidance from HMRC on Transitional Simplified Procedures (TSP) that will be made available to UK-EU traders in the event of No Deal. Read the ADS report, ‘Building Brexit’ – Priorities for the UK-EU Trading Relationship. Even though the final shape of Brexit is still unknown, UK companies are likely to face increased costs, for example from the higher administration costs of moving goods across the border. These added costs would be in addition to the existing global competitive pressures to increase production, improve productivity and cut back costs. Participating in programmes such as NATEP, SC21, SC Competitiveness and Growth or Sharing in Growth will help make your company globally competitive regardless of the shape of the final Brexit deal.